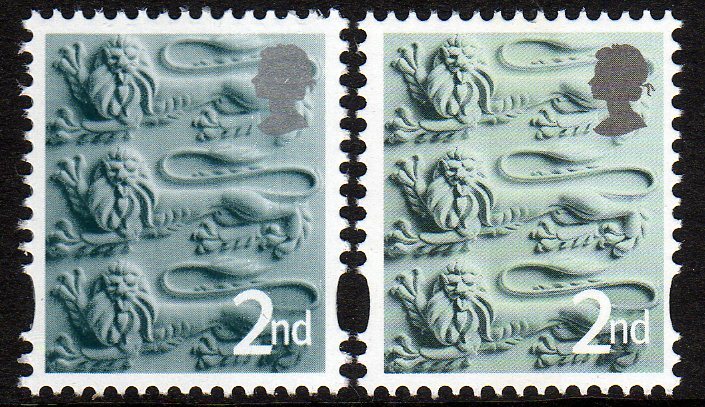 The Cartor-printed litho England and Wales 1st and 2nd class country stamps have been delivered*, so we can show them and the comparison with previous printings. The supplies we have are with black plate (they aren't cylinders) C1, dated 10/07/12. As mentioned previously, Cartor cannot print the date with an ink-jet add-on, so the date is on the plate. We have already shown the Wales 1st class and England 2nd class from C2 dated 11/07/12. 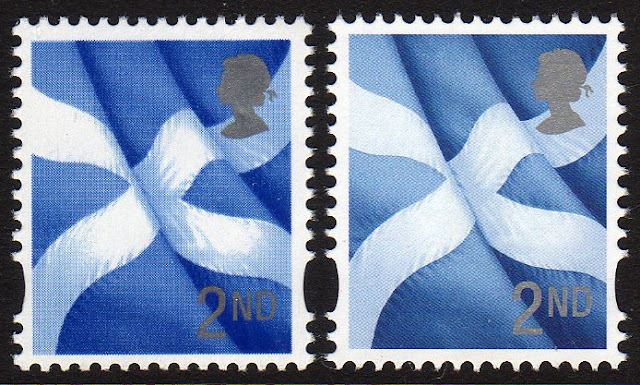 The Scotland 1st & 2nd also exist with two printing dates, but we cannot yet confirm that the plate number was changed. When the 87p Wales stamp was reprinted on 02/07/12 the plate number remained C1 although it was clearly a new black plate. So here for comparison are the De La Rue printings* (on the left) and the new Cartor printing on the right. As you can see the Cartor have much more yellow in them. You may recall that when De La Rue reprinted the Wales 1st there was too much yellow, and so the yellow was dropped and two black cylinders were used, although the later print has never been distributed by Royal Mail Tallents House and is not separately listed in Gibbons' Concise catalogue (W99 is still listed as being 'blue-green, greenish-yellow, silver, and black). 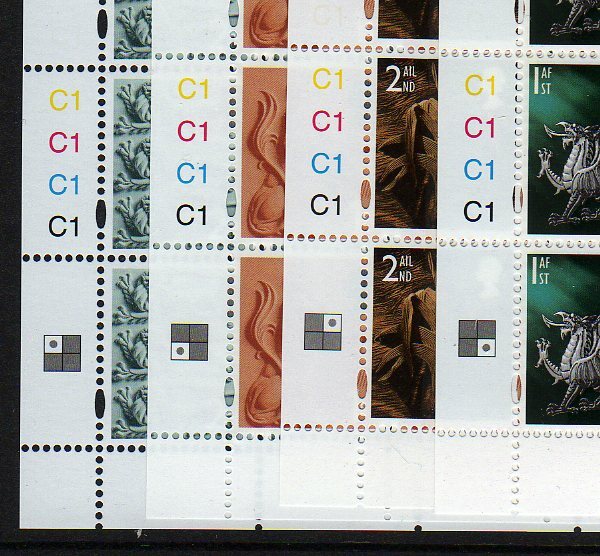 * The DLR stamps shown here may not be their most recent printings. I took these from stock and they are the latest ones we bought from Tallents House. Other printings may have shade differences, but probably not as marked as these. WALES 2nd - De La Rue v. Cartor. As well as having more yellow, the Cartor printing is much sharper, especially around the value. However, some parts of the leek are lacking the detail (black) in the DLR print. 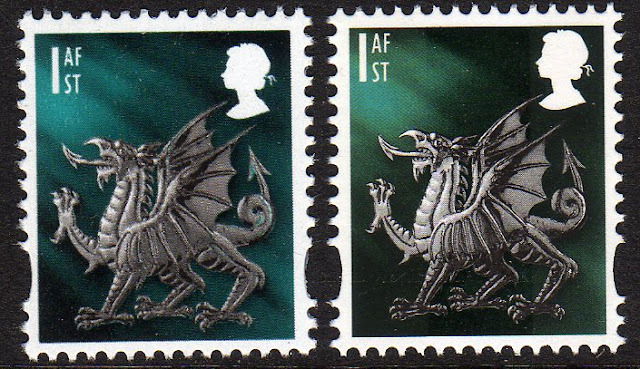 WALES 1st - De La Rue v. Cartor. This is the DLR with yellow. 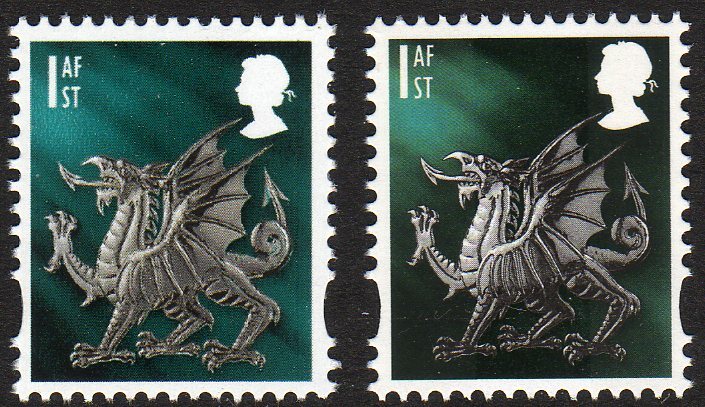 WALES 1st - De La Rue v. Cartor. This is the DLR with black instead of yellow. 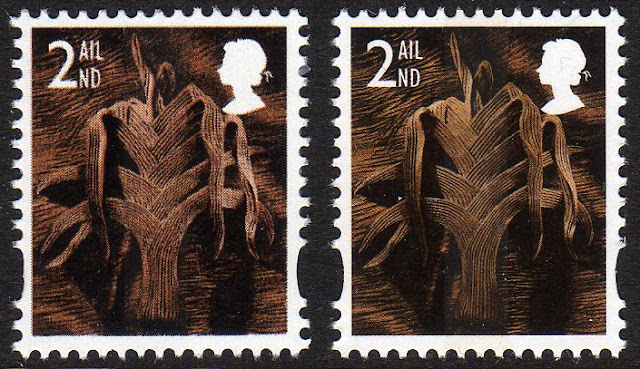 I've shown the two De La Rue printings side-by-side before. I think it is clear from these pictures that the original DLR has yellow in the dragon, but the dragon on the Cartor printing - although lighter than either DLR printing - shows no yellow, and it only appears in the green background. * UPDATE: The England and Wales stamps will be available from Tallents House from 3 January 2013 and are being distributed with the new colour Machin definitives. I'm presuming they will be distributed on Standing Orders where appropriate. Apologies for not mentioning this before. 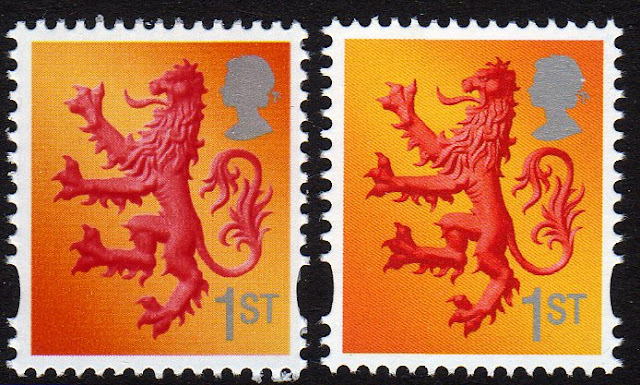 It really is frustrating when you call Royal Mail at Edinburgh and they have no idea what I'm talking when I mention the new printings of the country stamps. Even when you are put through to the philatelic department they don't have a clue. Eventually after hanging on the line for 10 minutes they tell me they are not available until January unless you find a post office that has run out and had to re-order. Thanks for reminding me - I should have mentioned that and will now add it to the blog. The new printings will be distributed from Tallents House with the 3 January 2013 Machin changes. My experience with Edinburgh (on this and other issues previously) was the same as marcooni's. Thanks so much for clarifying these issues in one simple post. Great web site. I've never once had a problem when calling Edinburgh and that's with hand on my heart. Reassuring - although without any idea of how often you've called them, and how often during the accounts debacle last year when most people (myself included) had to wait for up to 60 minutes, the evidence is a bit light. And the call centre is no longer in Edinburgh, as the accents of the staff will tell you. Unfortunately - so I'm told - all the good and experienced people in Edinburgh have been 'let go'. 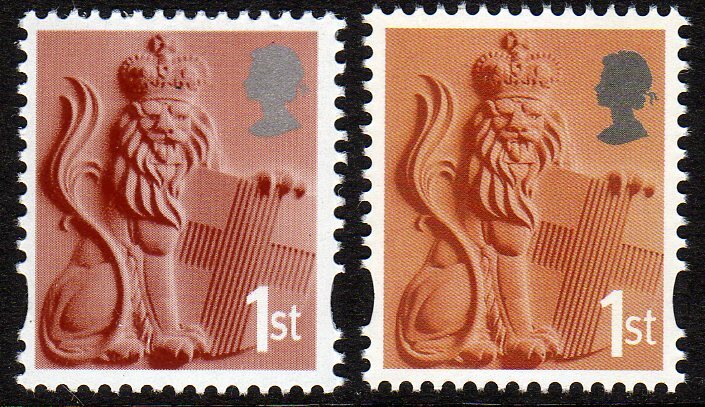 New Post and Go Postmark from City of London.